As a homeowner or business owner, it can be devastating to see your building go up in flames. A simple cooking accident or even an electrical malfunction can mean the difference between a regular Tuesday and one that’s filled with heat and despair. You’re not alone in this situation. While it may feel like the world is against you, you have a friend in All Phase Restoration. The first step after the fire department puts the fire out is to call a fire damage restoration company in Colorado to get started on restoring and repairing your home. The All Phase team will ask you a series of questions to make sure we send out the proper experts and equipment to help you clean up. Once All Phase arrives at your location, we will begin with a fire and water damage inspection and assessment of your building. This will give us an idea of what we need to do to restore or repair your home or building. Before we start any work, we will let you know what’s needed. As needed, All Phase will immediately tarp your roof and board up any entryways that need to be protected. This ensures that more damage is not created due to inclement weather or other factors. If necessary, we’ll remove the water that’s present due to the fire department putting out the fire. Then, we’ll work to dry the area with humidifiers and air movers. This allows us to move forward with the fire damage restoration. Once your home or building is dry, we will then begin to remove the smoke and soot. Utilizing special equipment, we clear the area of loose debris. This allows us to focus on cleaning and restoring what is salvageable. We will work to clean and restore any items that we deem salvageable. Using a variety of cleaning techniques, we are able to restore select items to pre fire condition. Also, we’ll use industrial air scrubbers and fog equipment to remove any unwanted odors. Once your items have been tended to, we will then work to restore your home or business. 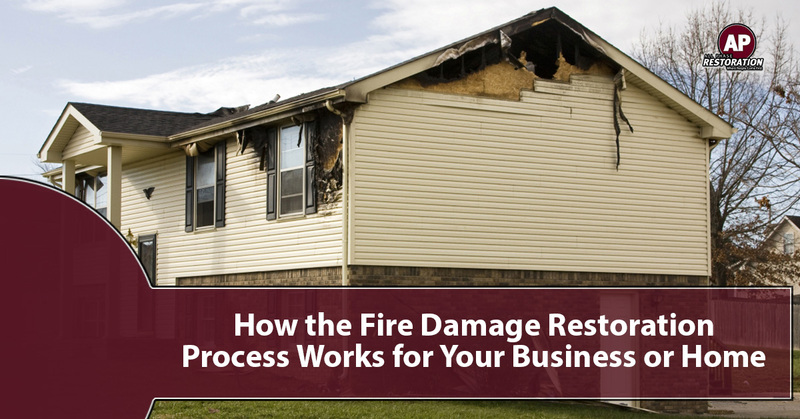 Fire damage restoration is all about bringing your home or business back to pre-fire condition. At All Phase Restoration, we take care of this for you in a timely, cost-effective manner so that you can get back to your life. After serving Colorado for years, All Phase Restoration knows what it takes to restore a home or building back to pre-fire condition. You’re not in this alone. We’re here to assist you. Give us a call for emergency fire damage restoration services.